A drive isn't just about getting somewhere--it's also about all the stops in between. 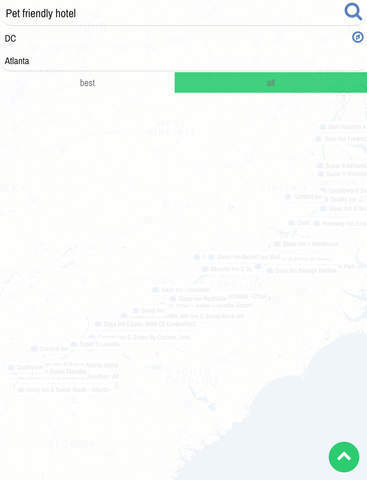 Alongways lets you search for places that are important to you between destinations. Alongways takes a starting point, a destination, and whatever you want to find along the way, and shows you the route and all the places you can stop. For each stopping place, you can access reviews, contact information, and navigation directions. ● Are there pet friendly hotels between Albuquerque and Aspen? ● A good place for deep dish pizza between Little Rock and Raleigh? ● Anywhere to fuel up between Lubbock and Las Vegas? ● Is there a place to park my RV between here and Helena? Cool, what else does it do? Bookmark your favorite places along a route--make a custom roadtrip with hotels, restaurants, and attractions that you want to see along the way. 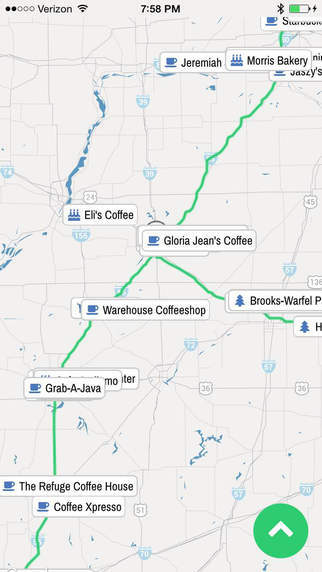 Switch between list view to easily see detail information and a full-screen map to look at all the points on the trip. Overlay multiple searches to create the ultimate trip. Access Recent Searches from the home page. Get driving directions to each point. And more! Alongways is the app you shouldn't travel without. From weekend roadtrippers, serious travelers, long haul truckers, and evening commuters--download and see how much you've been missing out on along the way!